In 1954, Rachel Marcovici and Janine Rocher laid the foundations for the international company that we now know as the RAJA group. What started as a two-woman company in struggling post-war France has grown into a multi-national packaging giant, with subsidiaries in 14 countries across Europe. As of 2015 they have an annual turnover of 440 million euros and employ 1600 people. Do you know where the name ‘RAJA’ actually comes from? Or how many copies of the first ever Rajapack catalogue were printed? To answer all this and more, we’ve taken a look at how Cartons RAJA grew into the RAJA Group, and how they spread its roots across Europe and into the UK. 1954 – Cartons RAJA, whose name come from an amalgamation of the first two letters of each founding member’s first name: RAchel and JAnine, begins life under the shadow of the Eiffel tower. Starting with just one shop, Cartons RAJA specialise in recycled cardboard boxes, as they are cheaper to buy than brand new ones. 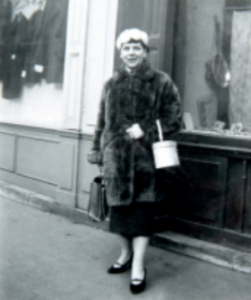 Late 1950s – In a periodwhere France was still recovering from the World War 2, the low prices of these recycled cardboard boxes, coupled with the energy and entrepreneurial spirit of Rachel Marcovici, means RAJA Cartons quickly flourish. The company expand to include new product lines, have ten employees and boast a turnover of one million francs (around £14,640 in today’s pound sterling). 1962 – Danièle Kapel-Marcovici (President-Director of RAJA in 2015), daughter of Rachel Marcovici, begins working as a sales rep for the company at the age of 16. She would go on to stay in that post for the next 10 years. 1975 – The catalogue era begins. 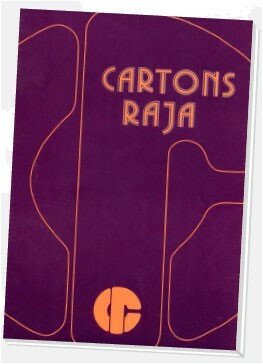 Cartons RAJA’s advertising department release their first ever product catalogue; a 24 page, black and white brochure which highlights 365 products. 10 copies are printed. 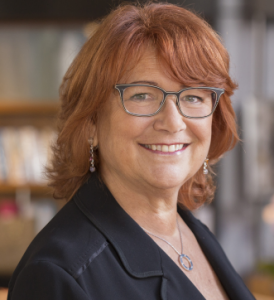 1982 – Danièle Kapel-Marcovici becomes Managing Director of Cartons RAJA, stepping up from her role as Sales and Marketing Director which she had held for the previous 4 years. Over the next 10 years, she would optimise the operations of the entire company, structuring all activities around key strategic teams such as purchasing, catalogue sales, product marketing, accounts, logistics, IT and human resources. Her work pays off as Cartons RAJA pioneer the direct selling of packaging materials. 1990 – Cartons RAJA drop the ‘Cartons’ from their name and rename themselves: RAJA. 1992 – The company’s turnover grew to 316 million francs (almost 5 times what it had been 10 years previously). They employ 190 people. 1994 – 2000 – RAJA becomes an international company by developing subsidiaries in Holland and Germany as well as purchasing BINPAC in Belgium and AID-PACK in the UK. AID-PACK, which will later become RAJAPACK UK, are specialists in strapping. When AID-PACK are purchased in 1998, they have sales of £2 million. 2001 – RAJA create their digital offering and continue to develop their multi-channel marketing and sales strategy with the creation of their first online store (www.raja.fr). 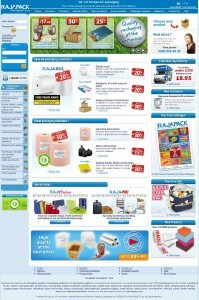 2002 – Rajapack UKremain a catalogue-sales focussed organisation but move into the digital space with the creation and launch of their own website. 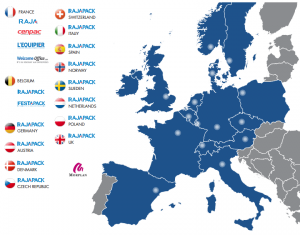 2003 – 2012 – European expansion continues with the creation of subsidiaries in Spain, Austria, Italy, the Czech Republic, Switzerland, Denmark and Sweden. 2015 – RAJA purchase Morplan; a major player in the distance selling of supplies and equipment to the UK retail sector. The story of the RAJA Group continues to grow and is led by the people who work here. Our staff are determined to keep the company moving forward, providing quality service and packaging products to our customers. Because of this, our staff retention record is an enviable one. Recently, 9 of our staff, ranging from warehouse workers to the Head of Customer Marketing, were awarded for long service to the company of 10 years or more. The values that RAJA Group was built upon; empowering women and sustainability, still apply today. The RAJA-Danièle Marcovici Foundation, created under the aegis of the Fondation de France in 2006, support community projects for women in France and around the world. We also put a large focus on environmentally friendly packaging, just like RAJA Cartons did when they started selling second hand cardboard boxes to Parisians way back in 1954. The RAJA Group has now been supplying packaging materials for customers at competitive prices for over 60 years, a fact that we are very proud of. Our long history and heritage have taught us to always keep the customer at the forefront of everything we do. This entry was posted in Packaging Industry News and tagged business, cardboard, history, International Women's Day, packaging, Raja Group, rajapack, Recycling, Reusable bags on August 19, 2015 by Rajapack. 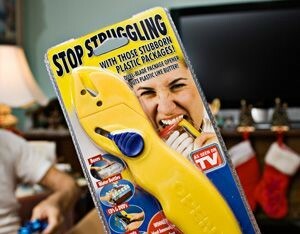 Happy Particularly Preposterous Packaging Day! Today is Particularly Preposterous Packaging Day. On this day, we celebrate some of the more silly and ludicrous packaging that has been delivered over the last 12 months. Packaging with unusual translations from different languages. Bad packaging can be funny to some, but for businesses who receive or deliver items in packaging that is completely inappropriate, it can be a strain on costs and customer relationships. 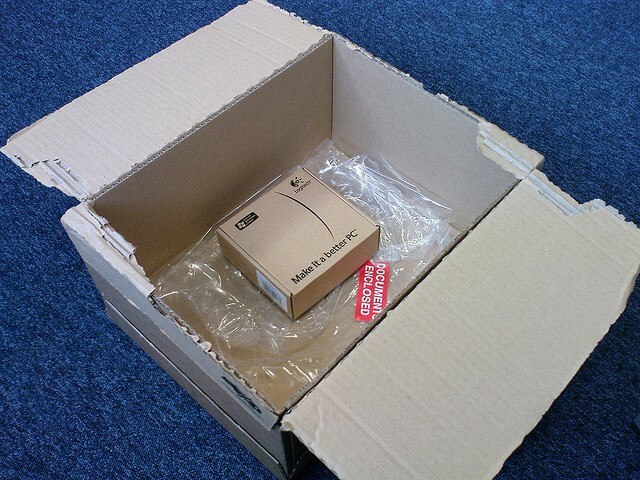 One of the most popular examples of preposterous packaging is when items are delivered in a box or container that is far too big for the product inside. Using excessive protective packaging (such as bubble wrap or loose fill) can often mean that a business is not being environmentally-responsible. There are different definitions of what exactly constitutes environmentally-friendly packaging, but one common theme across government and industry guidelines is that manufacturers should use no more than the minimum amount of packaging required to safely transport the goods inside. Over-packaging can also be expensive for businesses, as using more materials than needed means spending more than is needed on packaging. Ordering the right size box and correct amount of protection is easy, and there are simple tools available online that can help, such as Rajapack’s Box Selector. Effective packaging must properly convey what the box contains. In order for customers to trust a company they are buying from it is crucial that they get what they expected when they open and use the product. 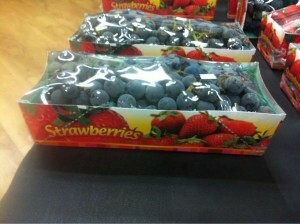 Packaging is a great way of strengthening the brand and separating your product from the others on the shelf. 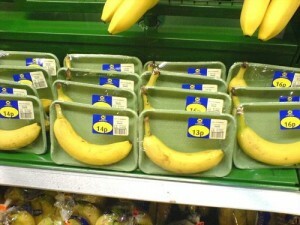 If the majority of the packaging you use is transit, this may not be a big issue for you. A lot of transit packaging is single colour (such as brown or white cardboard) with little in the way of description on it. Using materials such as custom packaging tape can help to strengthen your brand and customer communication. A good example of unnecessary packaging is when items are packaged individually, when they could have been grouped together. Avoiding this mistake reassures customers that your business considers the environmental impact of packaging and helps save you money. It may be the case that bananas stay fresher for longer if they are individually wrapped, but businesses must be mindful that customers are more aware of their responsibilities to the environment. This can play a large role in who they choose to do business with; blatant over-packaging like this can be harmful to a company’s green reputation. As well as protecting and securing the contents, packaging has to be user friendly, such as having no jagged or sharp edges, and with clear labels or handling instructions (such as ‘this way up’).Packaging is also not user friendly if the customer has difficulty getting to the products inside. A great example of this is when scissors are packed in Blister packs which require scissors to open. Customers want to buy from a company again if they are satisfied with both the product and the service they receive. Their experience of the product starts from the moment they receive the package, so it’s vital that they have a good experience when opening their product. Particularly Preposterous Packaging Day started out as a light-hearted look at some of the more ill-conceived packaging that customers receive. On a serious note though, customers do take note of the quality of packaging they receive, and this can affect future buying decisions around who they do business with. Packaging effects the decision regarding repeat purchase. At Rajapack, we offer expert advice to our customers on the correct type of packaging they use to make sure that their packaging is fit for purpose. Fit for purpose might include factors such as the size of container, strength of material and environmental impact of the packaging among others. Packaging that is fit for purpose will save money, time and the environment, which will result in happy employees as well as customers. If you have any great examples of Particularly Preposterous Packaging, drop them in the comments box below! This entry was posted in Packaging Industry News, Packaging Products & Materials and tagged business, cardboard, delivery, design, packaging, rajapack on August 7, 2015 by Rajapack.